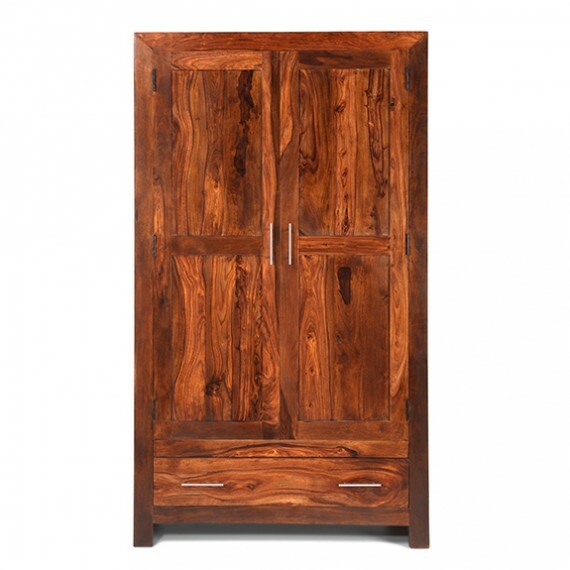 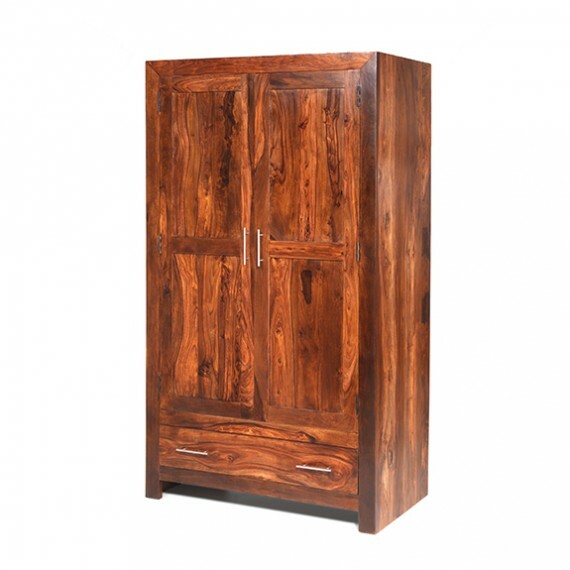 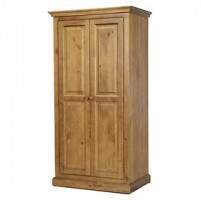 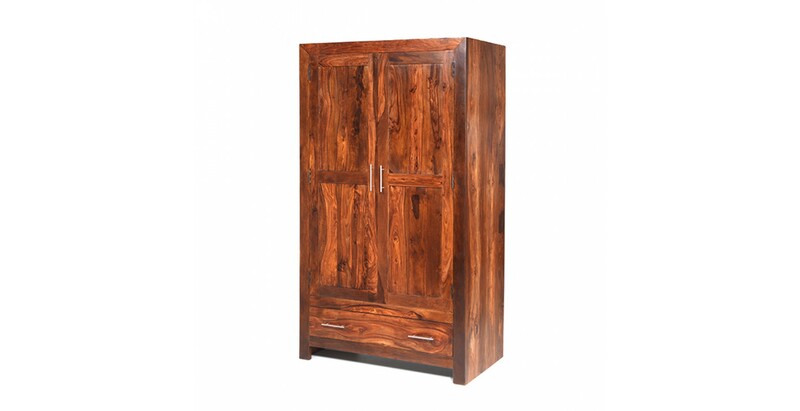 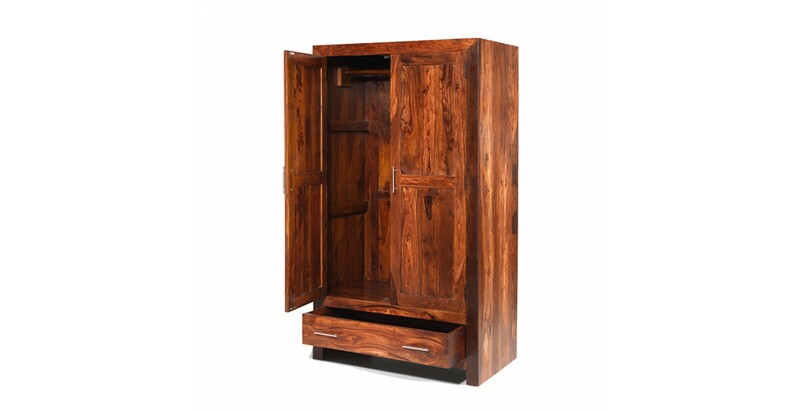 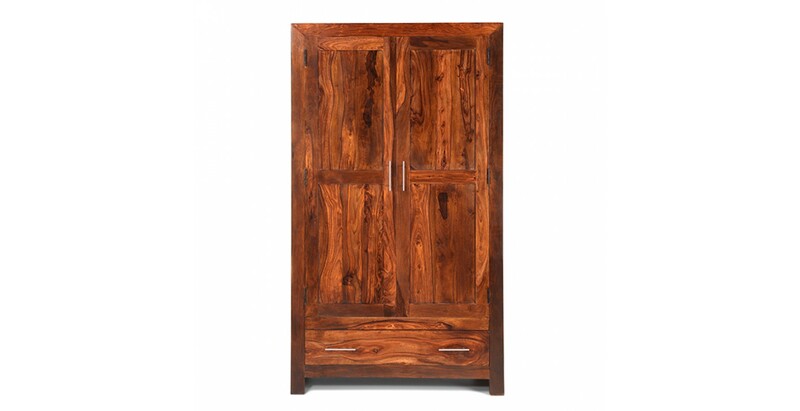 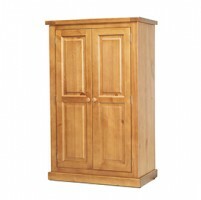 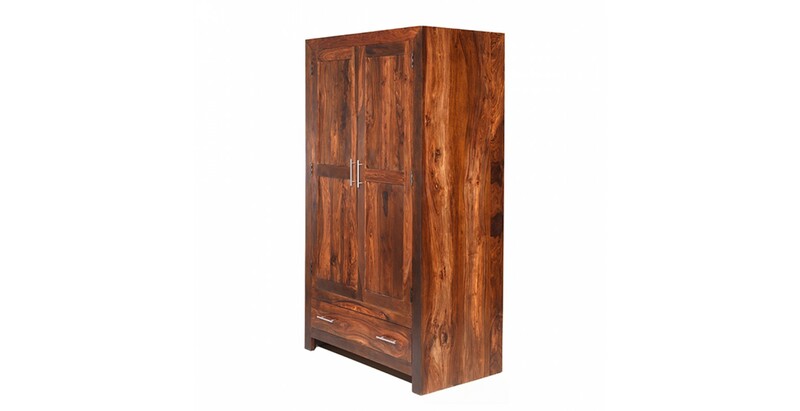 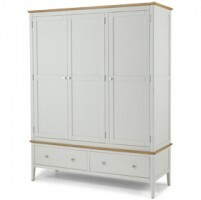 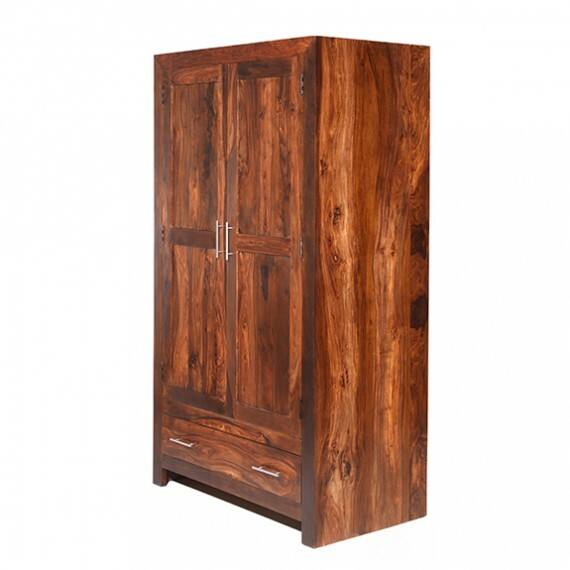 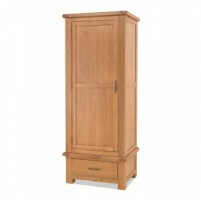 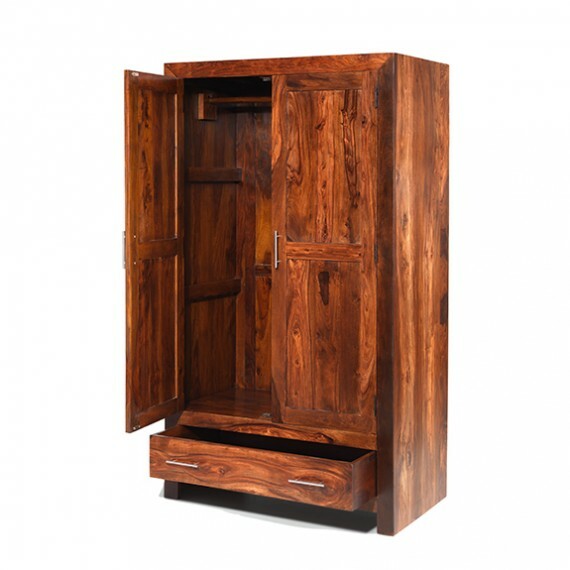 Making a delightful focal point in your bedroom and offering lots of practical storage space, this elegant modern wardrobe will blend in well with a range of decors. 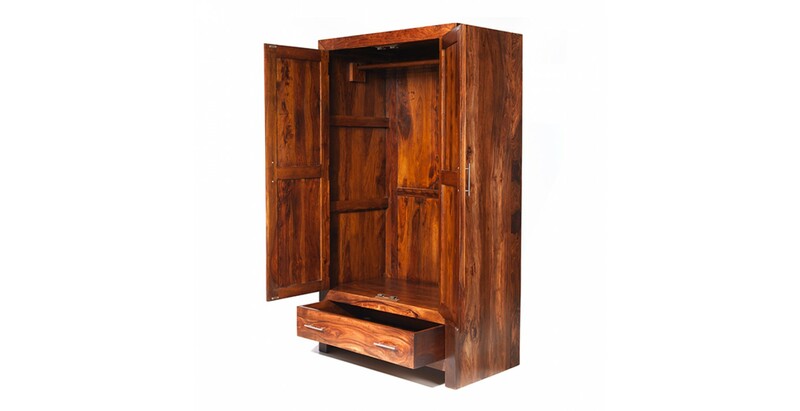 Behind the panelled double doors is a full width hanging rail for your shirts, dresses and suits, and there'll be room at the bottom for shoes and handbags. 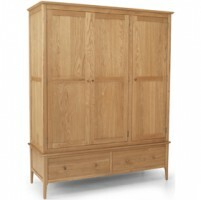 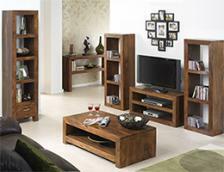 It also has a roomy drawer that will be the ideal home for jumpers and jeans. 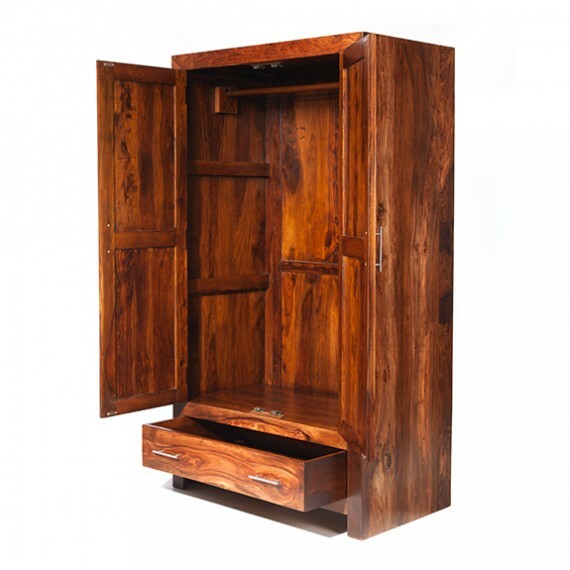 Made from durable and beautiful sheesham wood, it's been given a Wax Lacquer Finish to show off its richly grained character and maintain its rustic good looks.